There is nothing better than a cool sunny day, a box of ammo and your new or favorite rifle to sight in. We all know that every box of ammo should be checked for point of impact and re-sighted in. 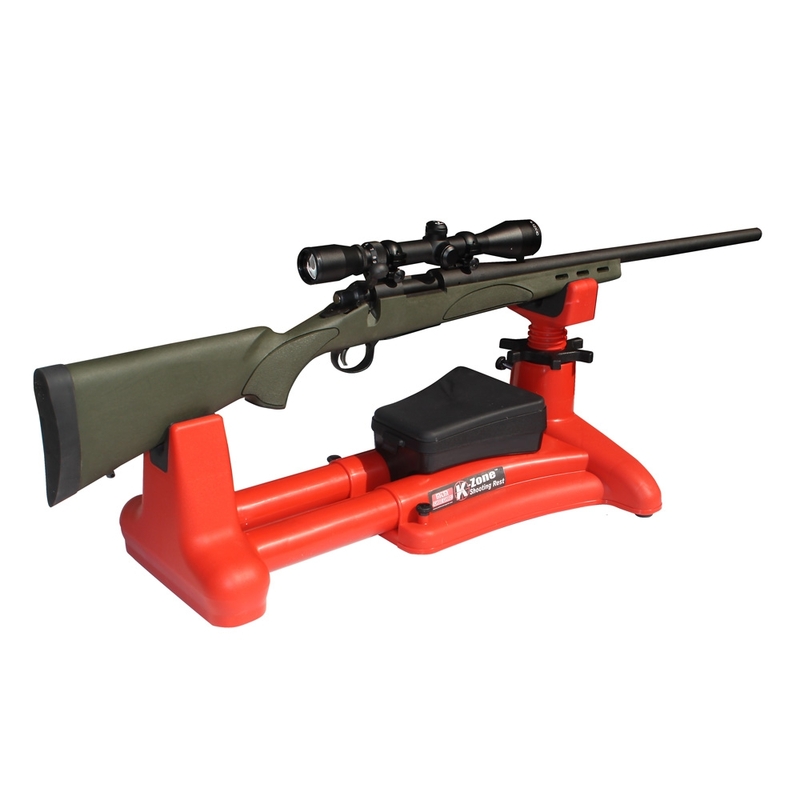 The K Zone Shooting Rest is the tool you need for better accuracy. Designed for precision sighting in of rifles and for testing ammo and reloads. Rock solid performance from a lightweight fully adjustable rest. As a gun rest this is nice and simple and does the job. It's also very light and easy to carry around. My issue with it is the price. Including delivery it's &pound;60, and what you get is a very plastic piece of kit, made in the USA, that probably cost $2 to manufacture. It has a plastic toy feel that leaves me wondering if I should have bought a different model.